When you’re walking through an art gallery and ask the gallery owner how much a painting is, you’re under no obligation to purchase it, right? We work the same way. By simply requesting a quote, you’re under no obligation to purchase anything. We’re just letting you know our price. Before we can create a work of art for you, we’ll need to know exactly what we’ll be painting. Please fill out the form below and we will email you our price and information about how to purchase it if you choose to move forward. Which photos make the best portraits? Visit our learning center to find out which photographs make the best possible portraits. Which type of painting would you like to order? So you have a painting in mind that isn’t in our gallery? Let us know more about it and we’ll track it down. 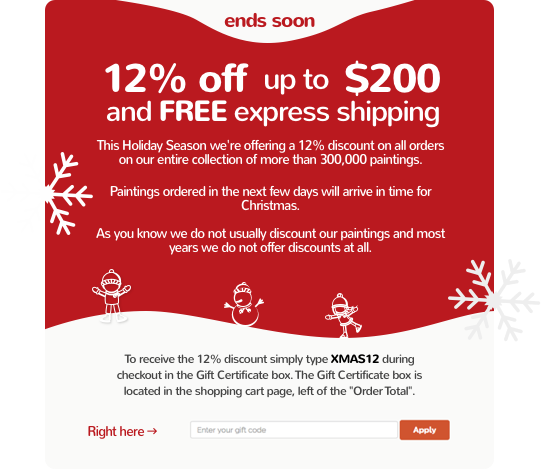 If you have an image or images of the desired painting, attach them here. This is where it gets fun. You get to envision your own masterpiece that our artists will create. Below is a list of some of the styles that our artists can paint in. For a description of each style, click on the name. Choose one of these and continue to the next step. If you've selected a painting style that's strongly colored (Che Guevara, Black and Color, Mao, Op Art, Graphic Style), please let us know what dominant color you'd like in your painting. 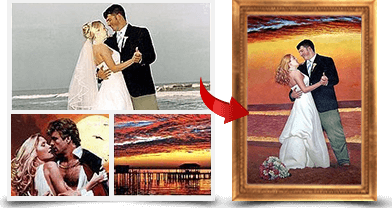 Since you're selecting a custom painting, click the browse button to upload your picture files. Include images of the main subjects as well as other background images you would like to include. Each file should be no larger than 5MB.